"I can’t think of a recent election cycle in which both parties thought (or still think) they had killer issues to run on and both are totally wrong. Democrats can’t run on Russia/Mueller [because it motivates Republicans more than it does Democrats], and Republicans can’t run on the tax cuts because, among other things, Trump used his outside voice to say they’re for the rich." Some Democrats salivated about running on impeachment, until their leaders convinced them that would backfire. And the party's "Abolish ICE" boomlet, fueled by Alexandria Ocasio-Cortez in New York, was co-opted by Republicans who now talk up their support for immigration agents. Republicans planned to make the Trump tax cut the centerpiece of the fall. But that didn't even last through March, since the tax cuts don't have the broad popularity the party expected. 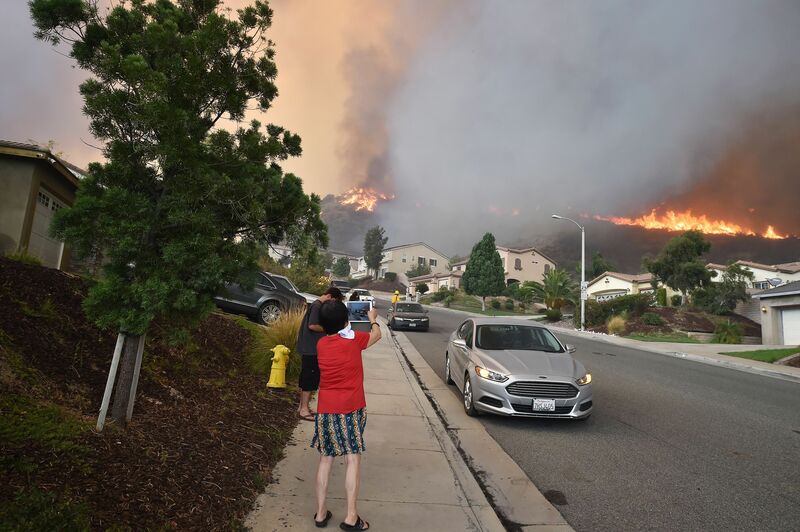 "This summer of fire and swelter looks a lot like the future that scientists have been warning about in the era of climate change," Somini Sengupta writes in the N.Y. Times lead story, "The Year Global Warming Made Its Menace a Reality." Why it matters: "[I]t’s revealing in real time how unprepared much of the world remains for life on a hotter planet." 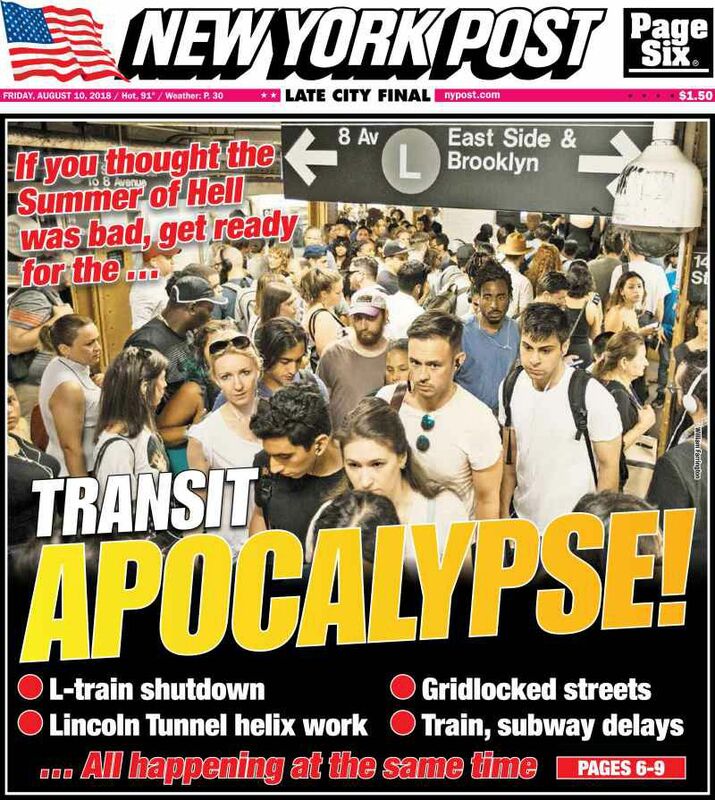 What's next: "Heat waves are bound to get more intense and more frequent as emissions rise, scientists have concluded." "On the horizon is a future of cascading system failures threatening basic necessities like food supply and electricity." 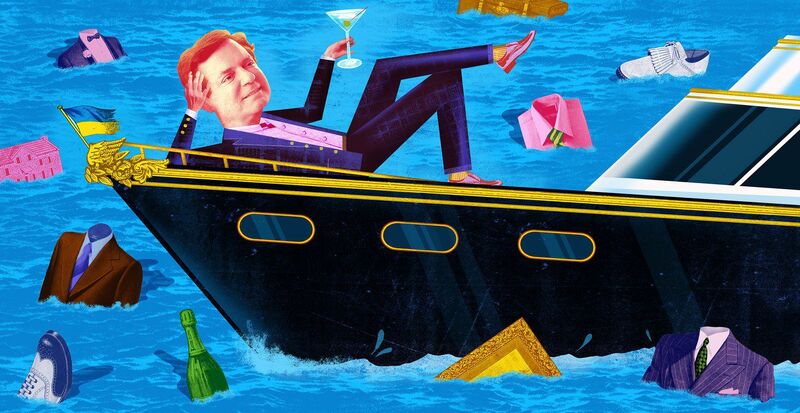 "Members of Congress are not prohibited from serving on corporate boards as long as they don't receive compensation for doing so." "The thinking behind this exception, which doesn't extend to top-level executive branch officials, is to ensure that lawmakers aren't prevented from accepting positions on the boards of charities or other philanthropic organizations, according to Craig Holman of the nonpartisan advocacy group Public Citizen." "Holman ... noted that lawmakers are often privy to sensitive information before it becomes public. That makes the opportunity for insider trading 'very prevalent.'" "Stan Brand, senior counsel at the Washington law firm Akin Gump and former general counsel to the House, said the strength of the laws against insider trading should allay fears about corporate board service by lawmakers." What's next: "Two New York lawmakers, Democrat Kathleen Rice and Republican Tom Reed, announced [yesterday] they plan to introduce legislation that would update House rules to prohibit members from serving on the boards of publicly held companies." "Many secretaries of state say they want to practice quiet diplomacy, and that was certainly [Rex] Tillerson’s goal. 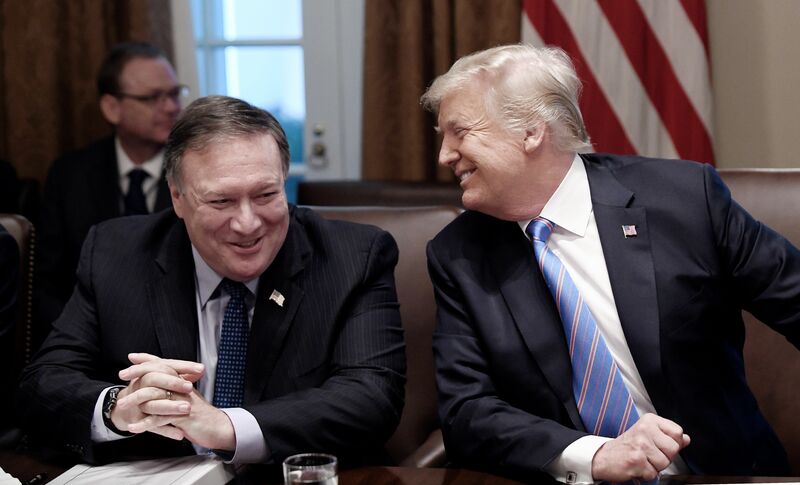 But Pompeo has made it an operating principle." "Pompeo is behaving at State much as he did as CIA director. His role is often that of a secret presidential envoy; he manages the North Korean denuclearization talks, the administration’s most sensitive file, pretty much out of his briefcase." "And, perhaps most important, he’s able to speak authoritatively (mostly in private) for the president, something that Tillerson could never do." Sentence of the day: "Being chief diplomat for the most undiplomatic president in modern history can’t be easy." "Electronics are, mercifully, if inconveniently, banned, ... meaning that it may be one of the most Trump-free spaces on the planet at the moment." "Instead of staring down at their phones and laptops, the journalists and other spectators are forced to actually listen as the case unfolds, without a constant stream of instant commentary to shape their thinking. ('I tell everyone it’s like living in 1994,' one of the reporters on the Manafort beat told me.)" The courtroom "is that rare place today where there is presumed to be a truth that is real and verifiable. ... Forget 'alternative facts.' Here are actual ones." "Republicans ... have made the House minority leader a central element of their attack ads ... [S]ome Democrats are expressing alarm that she is standing in the way of the next generation of leaders." Yesterday Rashida Tlaib of Michigan, who after her primary win this week is poised to become the first Muslim woman in Congress, "became at least the 27th Democratic House candidate to decline to say whether she would support Pelosi." Be smart: For all the talk (and there's plenty), if House Dems win a big majority, it'll be on a wave of women candidates and voters. That would make it very difficult to deny Pelosi the speakership, regardless of younger members' wishes. "A race that was once considered solidly in the Republican camp is now rated a tossup." 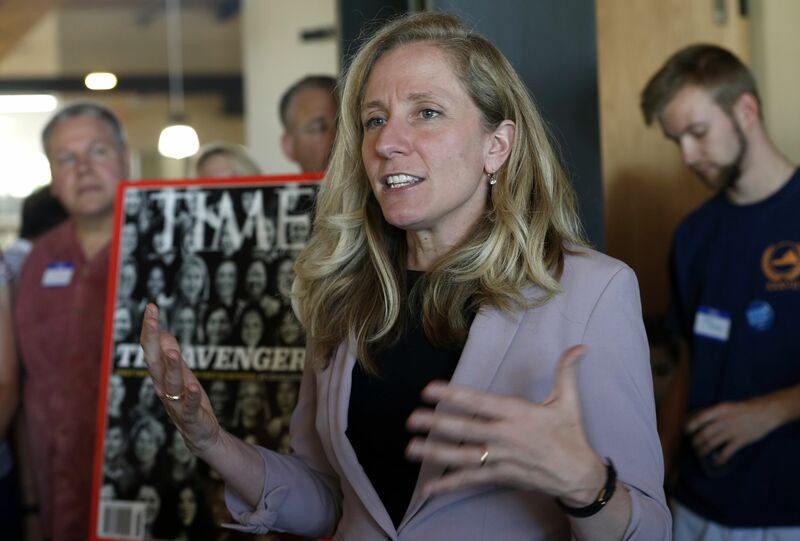 "[T]he Liberal Women of Chesterfield County are stirring women to come out in such great numbers that the Democratic nominee, Abigail Spanberger, a well-credentialed former C.I.A. officer, may make history ... in a district that has been deeply Republican for decades." "That makes them less efficient, more unfair and more likely to conflict with a government’s priorities." 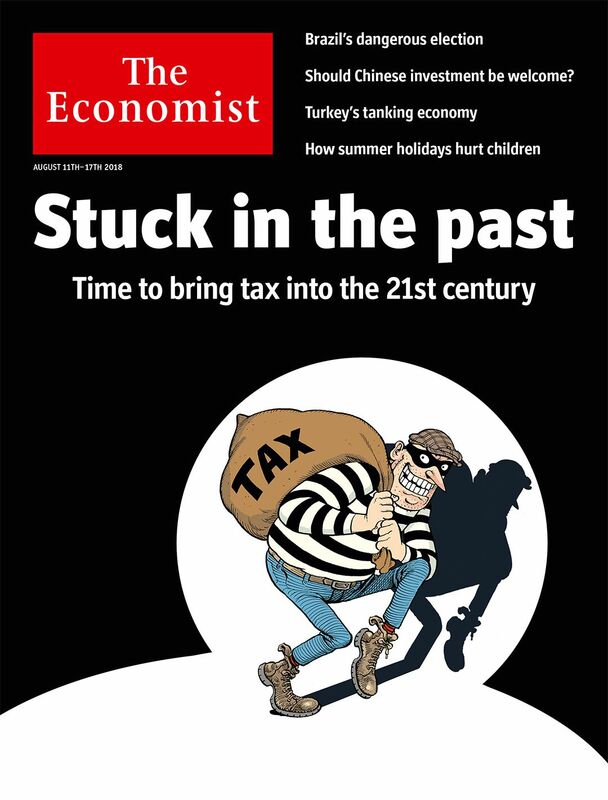 "The world needs to remake tax systems so that they are fit for the 21st century." "All countries should tax both property and inheritance more. These taxes are unpopular but mostly efficient. In a world where property ownership brings windfalls that persist across generations, such taxes are desirable." "A conservative first step would be to roll back recent cuts to inheritance tax. A more radical approach would be to introduce a land-value tax, the most efficient of all property taxes and one with a long liberal heritage." "To stop companies shifting profits, governments should switch their focus from firms to investors." "Millennials have been accused of killing so many products and industries —taxis, landlines, snail mail —that it’s become a media trope. But millennials are old news. Today, businesses and marketers are desperately anticipating the murderous whims of Gen Z, the demographic born after 1996." "Sometimes called 'post-millennials' or 'iGen,' Gen Z makes up more than one-fifth of the U.S. population and is the most racially and ethnically diverse group in the nation’s history." Why they matter: "They’re true digital natives who report being online 'almost constantly.'" They're already killing cash: "[M]oney-transferring apps — such as Venmo, Google Pay and Apple Wallet — are seeing continued growth." Thanks for reading. See you all day — and all weekend — on Axios.com.